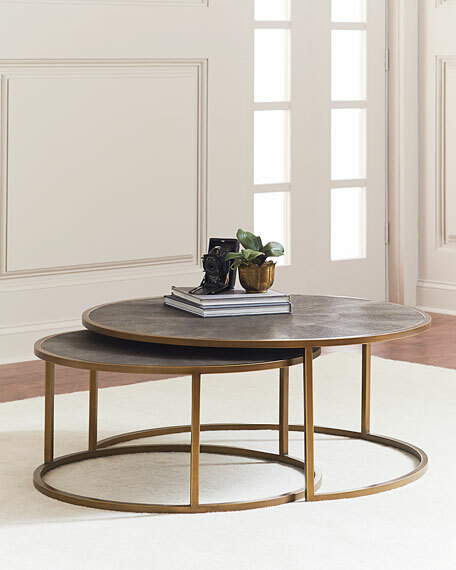 Antiqued brass-finished iron curves like a crescent to welcome a nesting option for its smaller-scaled companion table. 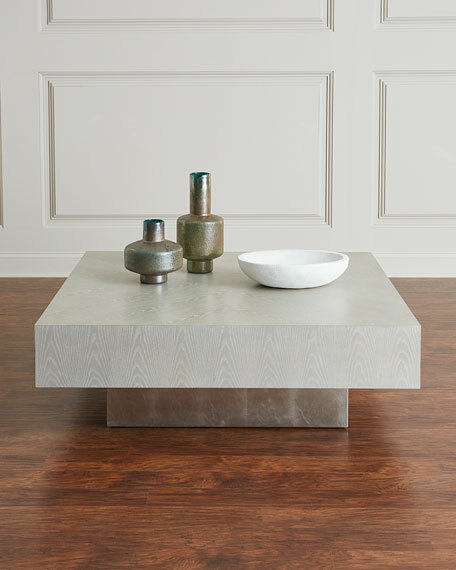 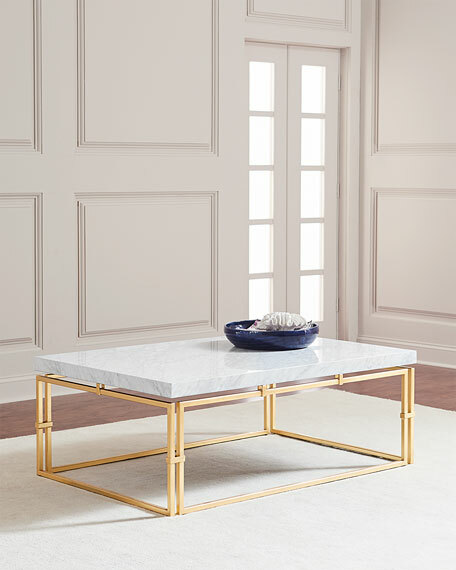 A resin faux shagreen table top in grey lends rich texture to clean, modern lines. 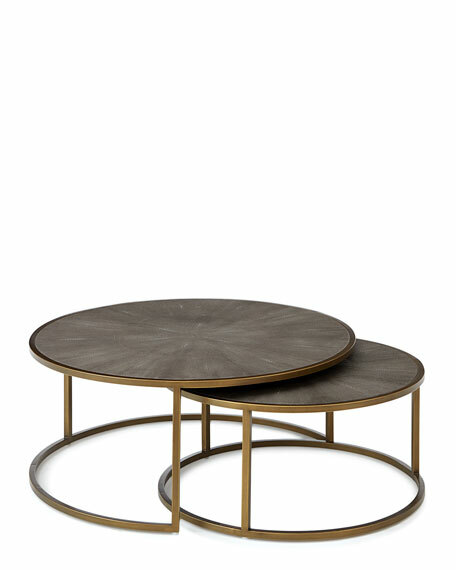 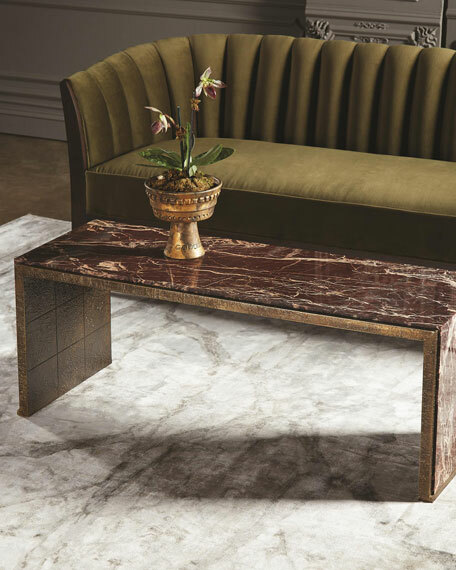 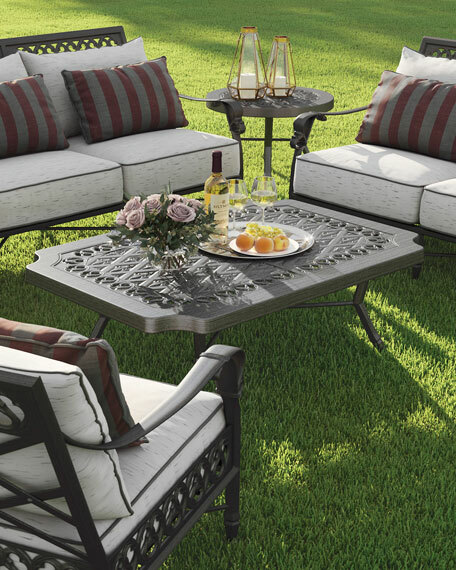 Iron frame with faux-shagreen effect resin top.